Perched on a hill at the base of the Pyrenees mountains in Southern France, Saint Bertrand de Comminges appears from the ground as a gateway to the heavens. It takes only a few moments after passing through one of the village’s three gates to understand why St Bertrand de Comminges is listed amongst the Les Plus Beaux Villages de France (“The Most Beautiful Villages of France”). 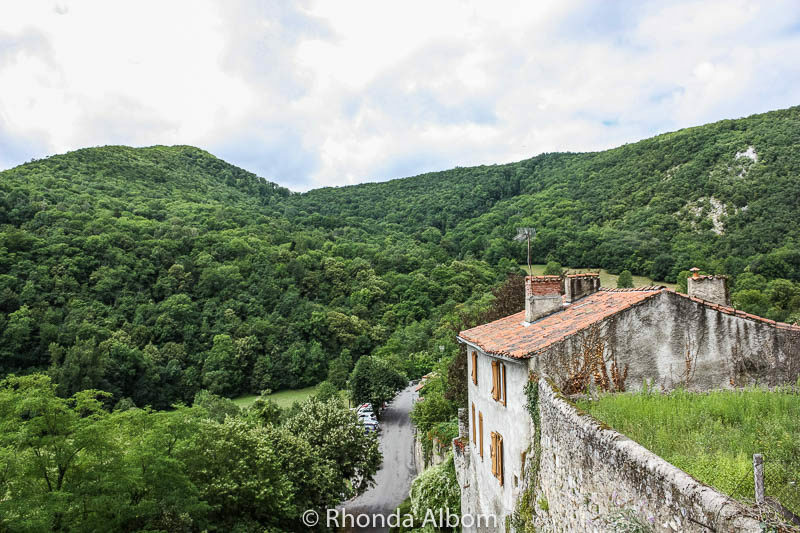 For us, the charming medieval village of Saint Bertrand de Comminges was a stop as we drove from Lourdes to Toulouse in France. In the past, it was a pilgrim stopover on one of the paths to Santiago de Compostela. 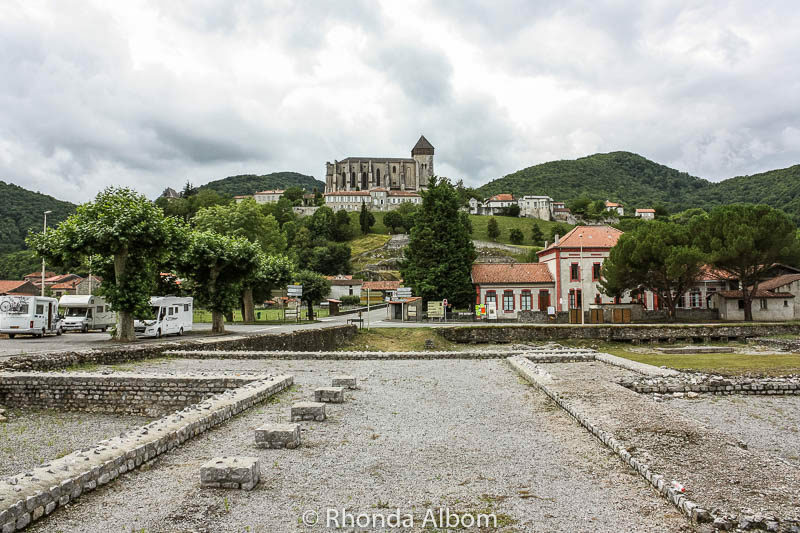 There are two key sights to see here: the Roman ruins of Lugdunum at ground level, and the village of Saint Bertrand de Comminges upon the hill. A shuttle takes people up and down for a nominal fee. It was on lunch break when we arrived, so we walked. Steps in the steeper parts make it an easy walk. Even on a cloudy day, the area was beautiful. Our first glimpse of Saint Bertrand de Comminges towering over the archaeological site of the Roman Ruins of Lugdunum. The cathedral dominates the view of the village. Another shot of the ancient Roman city of Lugdunum. We were greeted by charming narrow roads, many paved over the original cobblestones. The Saint Bertrand de Comminges Cathedral is the main site to visit. Personally, the entrance door was my favourite feature of this Romanesque-Gothic masterpiece, a UNESCO World Heritage Site. Inside is an architectural mix including these renaissance stained glass windows. 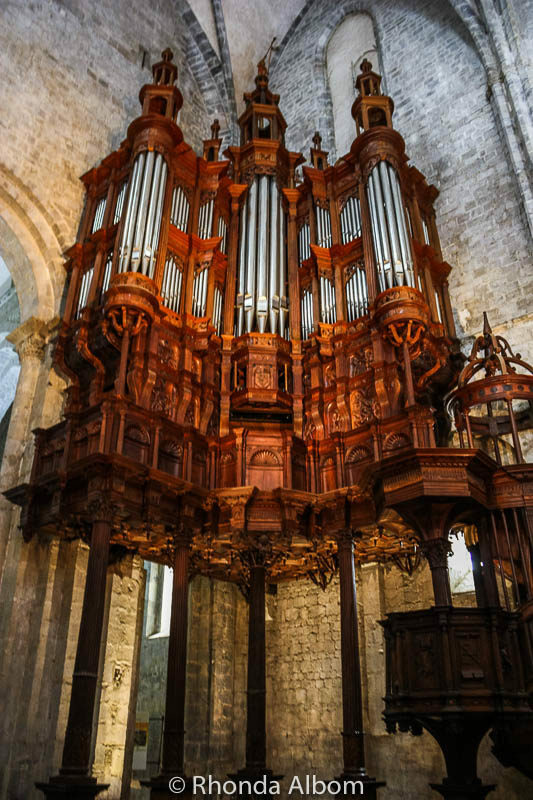 The 16th-century organ in the cathedral. Now the Olivetains (information center), this former 19th-century convent stands nearby. Lush green rolling hills surround the walled village. The cheese store and the man in a beret, an image that seemed stereotypically French to me. 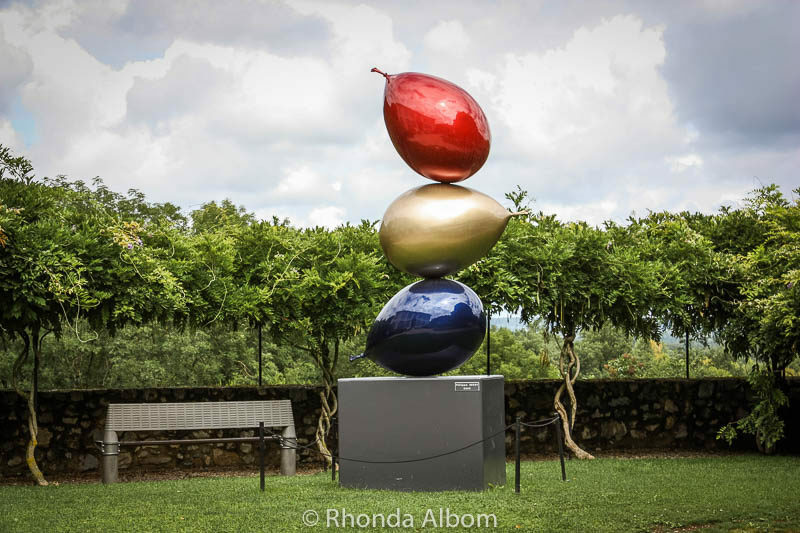 In a modern contrast to the rest of the town, this artwork sits outside the cultural center. Prehistoric cave art can be seen inside the nearby grotte de Gargas. Similar to the cave art we had seen only a few days earlier at Altamira, we opted not to visit Gargas cave. 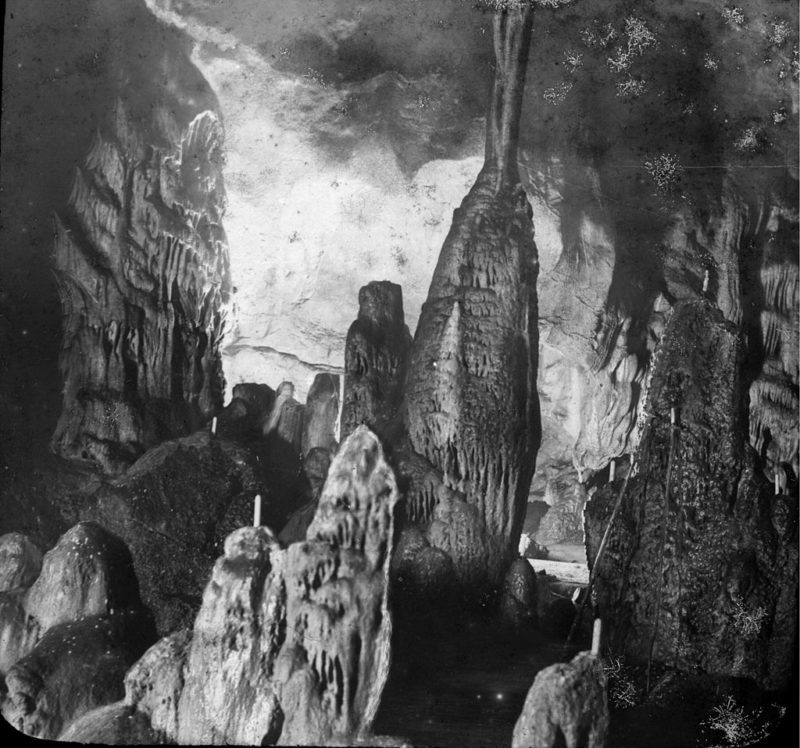 Interior view of the cave shot by Félix Régnault (1847 – 1908) – Scan on Flickr by Bibliothèque de Toulouse [Public domain], via Wikimedia Commons. There are many caves to visit while travelling across Northern Spain and Southern France. While we skipped Gargas, we did see two caves outside of Santillana del Mar (Spain). At El Castillo Cave we saw prints that had recently been dated as much older than originally thought, possibly made by Neanderthals. We also saw the cave drawings in Altamira cave (technically, it’s an exact replica similar to what has been done at Lascaux in France. They no longer let visitors into the original caves). The cathedral is home to the former seat of the ancient Diocese of Comminges. The tomb of Saint Bertrand (canonised in 1671) is inside the cathedral. Also famous for hanging on a wall inside the cathedral is a taxidermied crocodile, but somehow we didn’t see it. For more images of the cave drawings check out this article: The Cave Art of the Grotte de Gargas. We had a car. Self-driving is definitely the easiest way to get here. 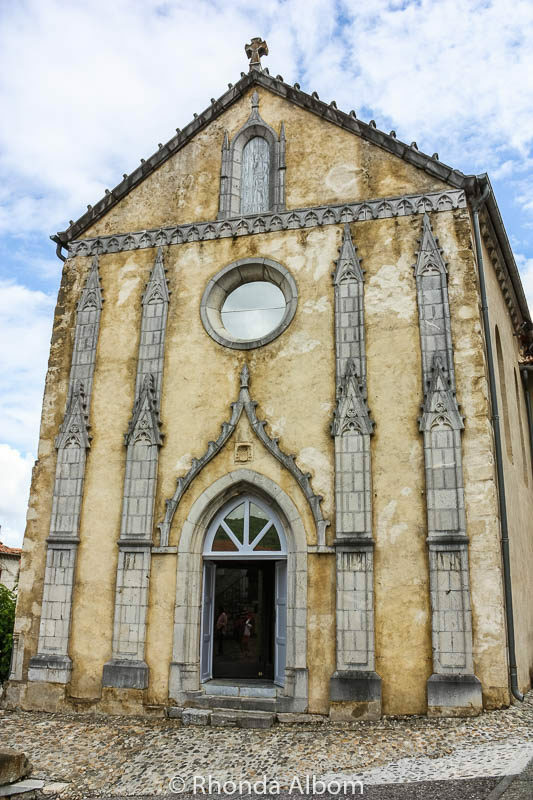 If you are travelling Europe by Eurail, there is a local train from Toulouse that will get you near Saint Bertrand, and then you will need to take a taxi or walk. Check prices and find the Eurail pass that is right for you. There is no shortage of places to stay in the Midi-Pyrenees region. Booking.com offers over 4000 accommodation options covering the full gambit of hospitality. We originally discovered Saint Bertrand de Comminges in the Lonely Planet Western Europe travel guide. 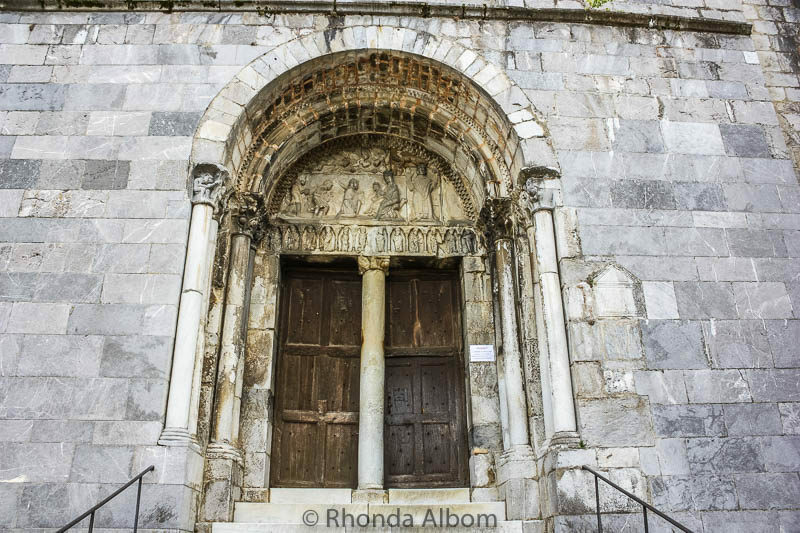 Have you visited Saint Bertrand de Comminges? How charming! One day was enough for everything? Depending on your definition of “everything” we did it all in a few hours. Never heard about Saint Bertrand de Commiges before but it is really beautiful! Well, actually there are many beautiful villages in that area in the Pyrénnées. Weird to find Roman remains in that area but I am sure it was a plus in your visit. Beautiful pictures, by the way! Yes, there are so many lovely little villages as we drove through the area. This one was fun as it was up the hill. No, I’ve never been to Saint Bertrand de Comminges or France for that matter. It certainly looks like a charming village. Also I loved the photos but you officially had me at ‘caves’. So that’s something I’d definitely check out however what a shame that visitors are no longer allowed to the original caves. There are still caves people can get into that are the original ones. A little research will let you know which they are. 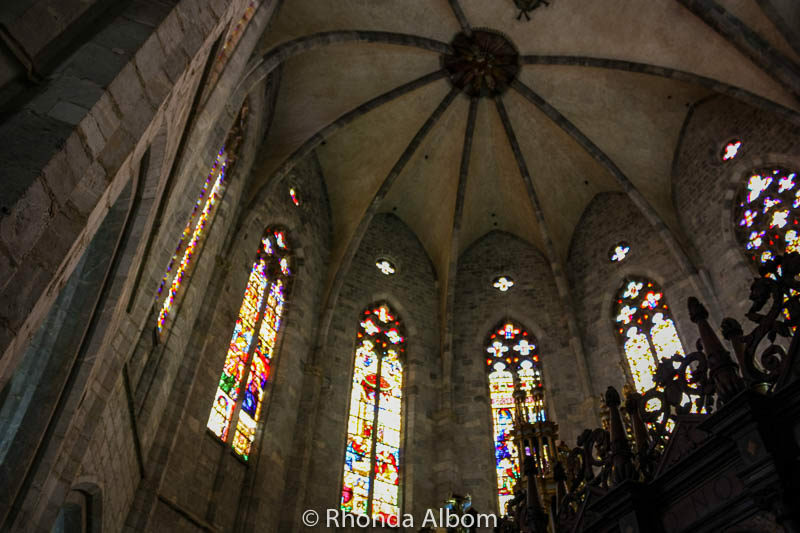 Your photos blew me away – I almost feel like I’ve already been to Saint Bertrand de Comminges just looking at them! I’ve been to Santander but didn’t make it to Altamira, which is doable as day-trip I think – would you say it’s worth the trip? Thanks Michelle. We visited Santander from Santinalla del Mar, the town we stayed in when we visited Altamira. To be honest, once I knew it was an exact replica, rather than the real thing, the caves lost the magic for me. There are still several original caves you can get into. I would go to one of those, even though they have less cave art, it really is the real thing. 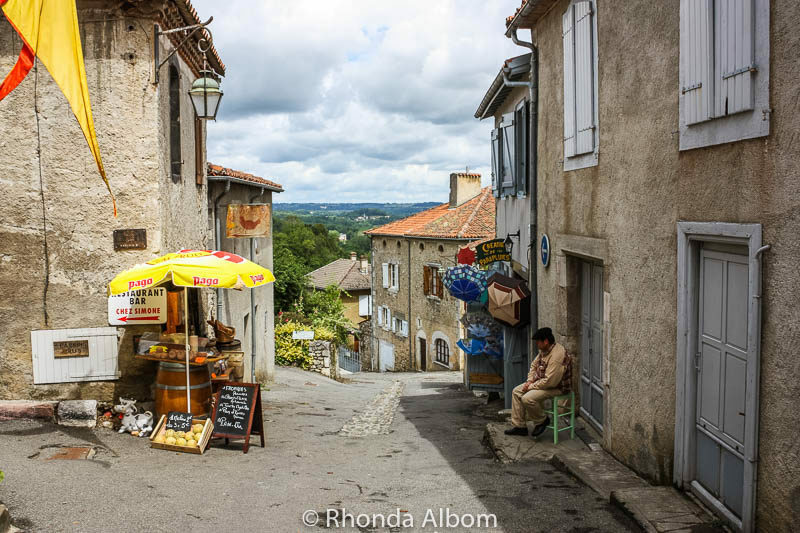 I haven’t been to France yet, but touring its small town and villages is on my list! This looks like a great stop with lots of history and interesting sites. Love the photos, and I’m glad you rediscovered them. I found our time in the villages to be my favourite. 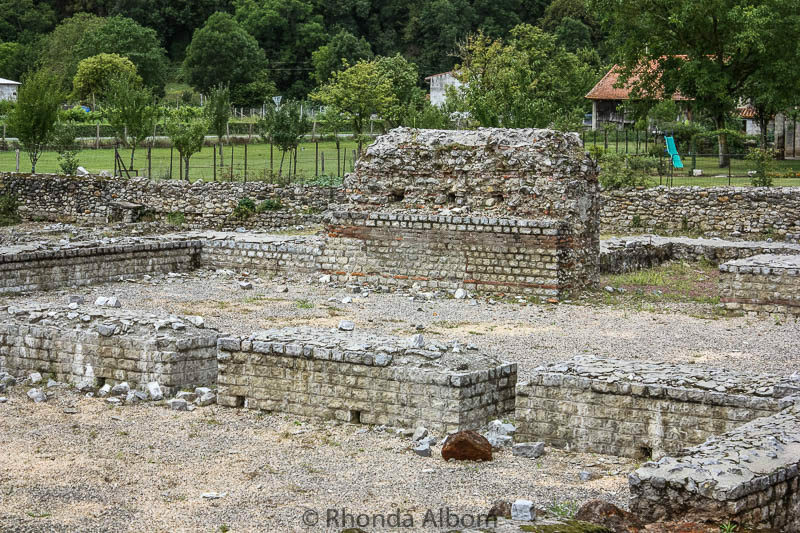 We’ve always wanted to drive down to southern France to visit the Roman site of Lugdunum (for an archaeologist I should be ashamed that I still haven’t been there! Haha..), and of course also all the little French villages, like the medieval walled city of Saint Bernard de Comminges. Visiting the caves would also be awesome! Thanks for this great post! Interesting. You are the first person I have encountered that had heard of the ruins before. Nice to know they are important, not just interesting. This is so cute! I love how French pay attention to details especially with all the flowers in the houses. Saint Bertrand de Comminges reminds me of Yvoire, another amazing French village belonging to the most beautiful villages in France association. You should check it out as well for future escapes near lake Geneva! So true, it is the attention to the detail that makes these beautiful villages so charming. Looking up at the cathedral towering over the fields was quite impressive, but I agree it was even better once we got inside. I can definitely see why St Bertrand de Comminges is listed amongst the most beautiful villages in France. I love the medieval charm, and am fascinated by history and archaeology, so the Roman ruins of Lugdunum would be my first stop. The cathedral is stunning, love the cloisters. And I’m so excited by the idea that you can see Prehistoric cave art! France has some incredible caves which have a lot to say about history. Very cool! Sometimes I regret not getting in those caves, but the caves we did see were pretty amazing. And, as you know, we can’t do it all. I love stumbling upon these adorable villages in Europe. The sheer number of places like St Bertrand de Comminges that are off the typical tourist route makes them so much special. Plus, the classic French village also has a Roman ruin site! That’s amazing. I’ve done a few driving trips through Italy, France, and the Balkans, and it is great when you find little towns that you’ve never heard of before. I would love to do a driving trip like this through Italy sometime. Pyrenees is such a gorgeous area. 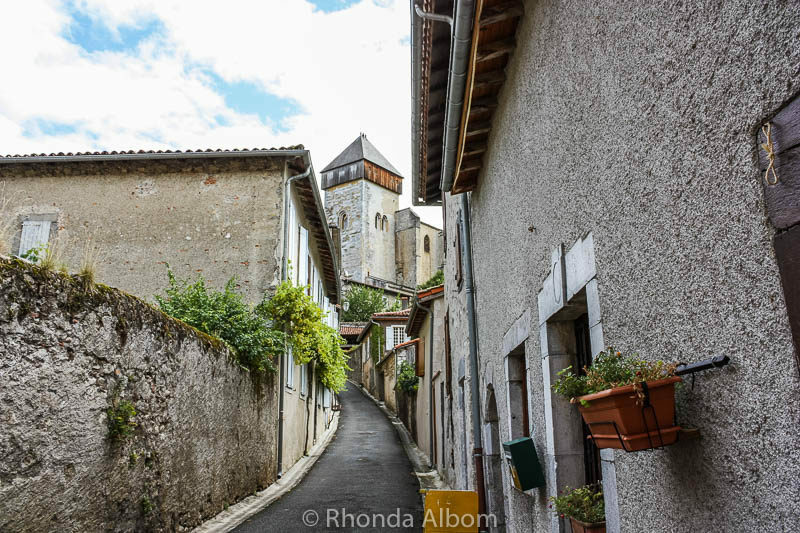 We love the Southern France and visiting some of the beautiful villages that is part of Les Plus Beaux Villages de France was the highlight of our road trip there one summer. 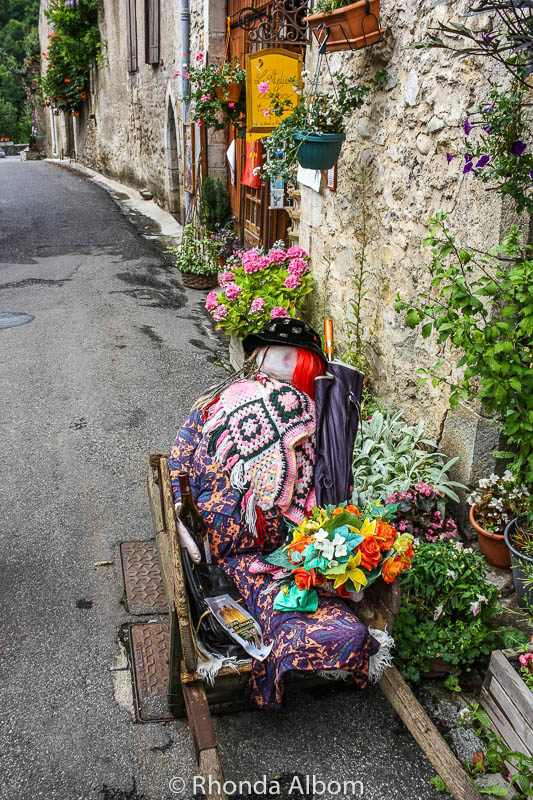 Saint Bertrand de Comminges is so charming little village and you have captured it beautifully. 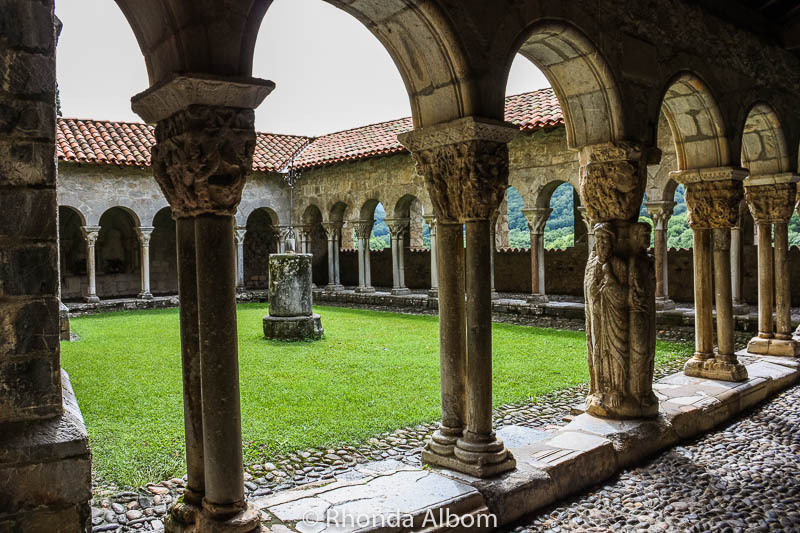 Was St Bertrand de Comminges on your visit list? It would be impossible to visit every charming village in France. We haven’t yet been to the Normandy region. You are correct. Saint Bertrand de Comminges is indeed a charming little village. The lush greenery and the beautiful medieval architecture definitely adds to the charm of the village. We loved the entire region, and Toulouse is my favourite city in France. What an awesome town. I am an outdoorsy person – maybe that’s why I always enjoy Church Cloisters – it’s amazing to think this particular one being around since the 12th century. Gorgeous. It always amazes me that anything stands for that many years. Beautiful photos! On my trips to France I’ve found that I love the small towns more than the big cities. I would love to do a tour of several small villages there someday and take my time. With the exception of the Toulouse, which we loved, I would agree. We generally preferred the small towns. I haven’t been, but it looks really charming, as you say. Your pictures are beautiful (they always are!) and I’d love to see those Roman ruins. Really a lovely place to visit. Thanks Sarah. We also quite intrigued by Roman ruins. That is what I thought as I walked around the town, especially when I saw the guy in the beret sitting across from the cheese shop. Looks like a really lovely little village! The kind I too would totally make a stop in! We stop everywhere, that’s why it takes us so long to get anywhere. The Pyrenees is one of the areas in France I’ve not yet explored, but your photos of the beautiful Saint Bertrand de Comminges really make me want to head there soon. 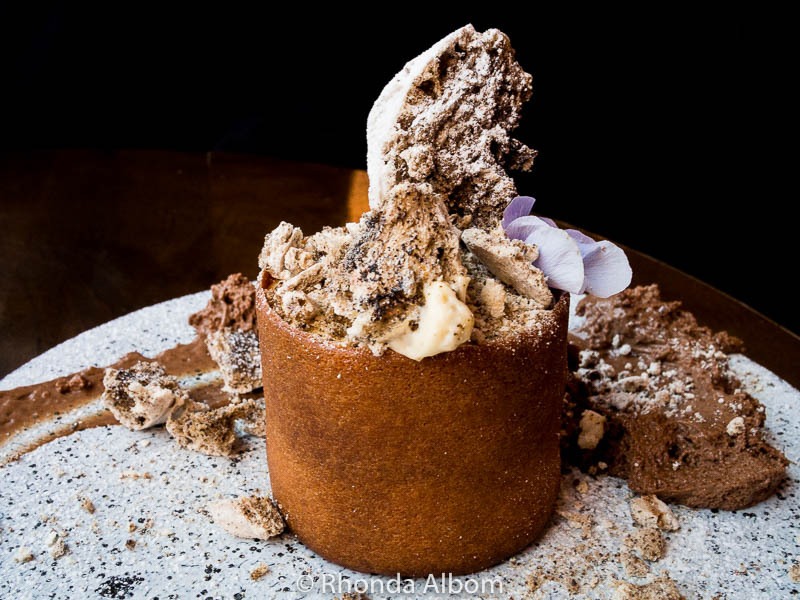 I love a place that has history, culture, charming local architecture, natural landscape and of course there is always great food! We really enjoyed the region and stayed several days longer than planned. Toulouse is probably our favourite of the cities we visited in Frances. This one was on the way there. Thats a cute little village if there was any. Looks characteristically french too. Loved the long shot of Saint Bertrand de Comminges. Epic! Thanks. It was fun to photograph this town. LOL – I like the sleepy villages in the Netherlands too. Although, there is something very charming about the French architecture. This village isn’t only charming but also very picturesque and awe-inspiring. It seems like being part of some fairy tale, Rhonda. How many days would be enough to explore this awesome French village? We explored this little village in a few hours. It’s small and there are so many places to see along the way. If you wanted to just relax and hang out, you could stay longer. I’ve never heard of Saint Bertrand de Comminges, but it looks absolutely beautiful! I am always a sucker for old, walled cites though. I love that in addition to historical sites like the cathedral, there are natural things to explore – caves are one of my favorite things to explore. Some of nature’s best sculptures are in caves. There are so many fascinating caves in the region. It was difficult to pick, but I think we chose well. I haven’t heard of this town before but I want to go now. It’s absolutely beautiful and charming. It’s these kinds of undiscovered European towns that gets put on my travel wish list. Fantastic photo collection. Thanks Mary, and I hope you do get here someday. Oh,I adore these types of villages! Loved this post and have another place as result of it, ‘on my list’! Your list will get very long if you add every delightful town in the south of France. Saint Bertrand de Comminges exudes charm, indeed. I’ve never been in this part of France, but I’d like the idea of renting a car and driving through the entire country. It’s most likely the only way to enjoy discover and enjoy little villages like this one. Everywhere we went in the south of France was so delightful. 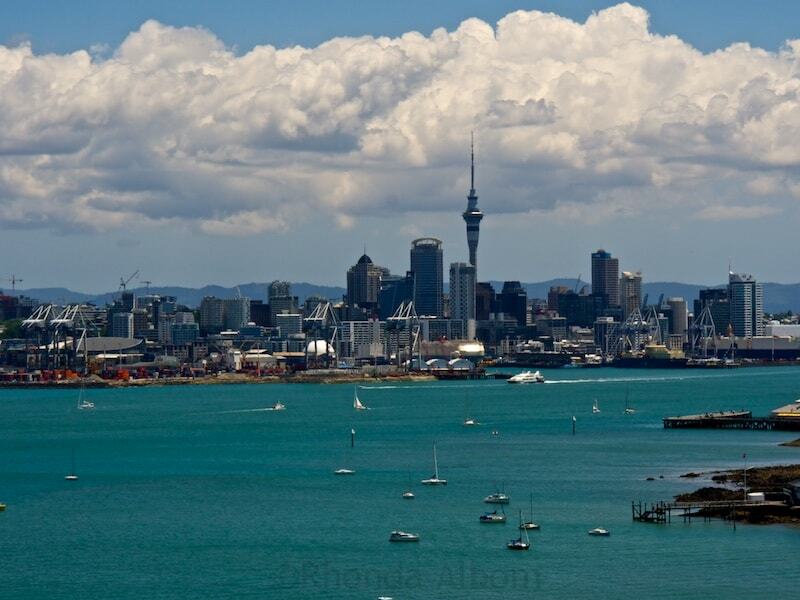 And I absolutely agree, having a car in this part of the world really allowed us to expand our experience. It’s these kinds of off the beaten path places that always make us glad we have our own vehicle when we travel. It’s quite the opposite of the 150 year old country that I live in. This village is really nice! The pictures are amazing. I particularly like the one of the cloister. There is a lot to see in France! Thanks for sharing in #TheWeeklyPostcard. Visiting the cathedral was free, but we had to pay a nominal fee to see the cloisters. Thanks Hilary. I am glad you commented on the modern sculpture, as I had been encouraged to leave it out of the post. I like those decorations in front of the door, were they put there for a reason? I am sure they were, but I have no idea what it would be. I have yet to visit France but when I do, I want to visit Saint Bertrand de Comminges! Your photos sold it for me. It is a charming little village, but there are many like this. Nope, I haven’t been to that part of the country yet. Rhonda, are you a professional photographer? I have been a big fan of yours since I started blogging almost three years ago. You have a beautiful style that no other travel writer has through the angles of your pictures. They are stunning! Wow, thanks Melody. I am not a professional, although I have done a few commissioned photos, and I have a store on Zazzle and some of my photos on Amazon. I prefer to work for myself and my own blog. I haven’t but it looks very beautiful. Thanks for sharing. You sure have been to many beautiful places. I’m glad you take photos! I so love such medieval towns. They’re so charming! And I’m a sucker for Roman ruins. Seems Saint Bertrand de Comminges is the place for me! It is a bit off the beaten path, and not that easily accessible by public transport, or I think it would be a lot more popular. Gorgeous area. I certainly would’ve visited the caves. I’ll have to ask one of my best friends if she visited the area during the month she was in France. 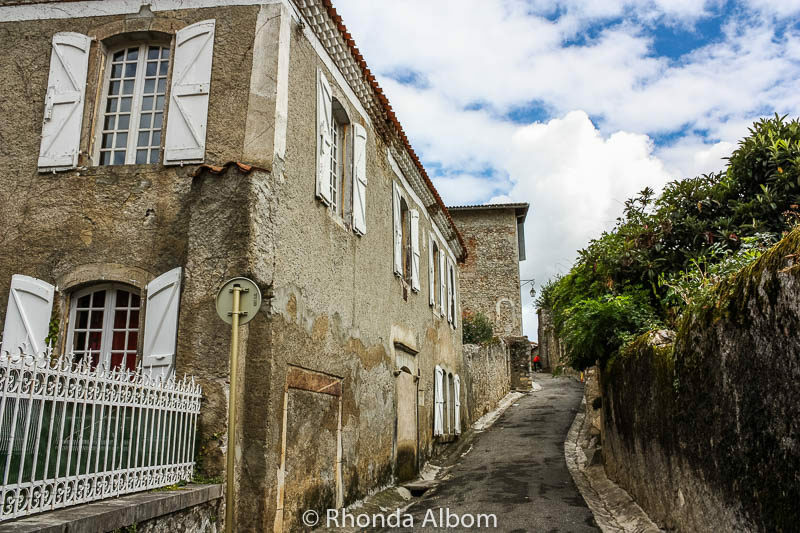 There are so many interesting caves and charming little villages in the South of France. It is difficult to pick. The organ is quite impressive. Looks like a great area to explore. Yes, the organ was very impressive. I just can’t believe we missed the croc. I agree with you Tanja, it’s a pretty town.